Ivanka Trump has taken herself out of the running as the next ambassador to the United Nations. Following the announcement of Nikki Haley’s resignation on Tuesday, Donald Trump floated Ivanka as a possible successor. “I’ve heard a lot of names. I’ve heard Ivanka. How good would Ivanka be?” he told reporters. 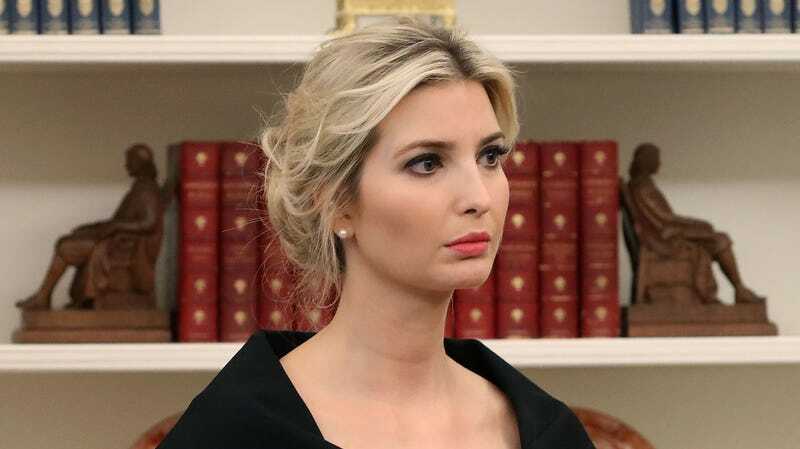 She would, in fact, be very terrible (though perhaps no less or more terrible than any other person Trump will tap for the position), but it’s a scenario we don’t have to worry about, because Ivanka does not want the job. I’m sure Trump will manage to find someone even less qualified and more terrifying.